. . . NETMCDO is dedicated to enhancing and promoting career services for musicians . . . The 11th annual Network of Music Career Development Officers conference will be held on Tuesday and Wednesday, January 10–11, 2006, at Manhattan School of Music. 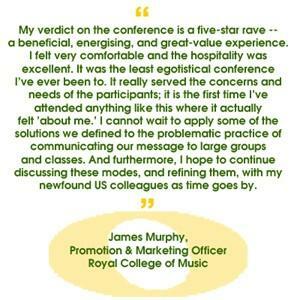 The conference is an opportunity to exchange ideas and information on how we assist musicians in developing careers. Last year’s meeting was insightful, productive, and yes . . . fun! We’ve got a great agenda this year that includes an opening lecture by arts consultant, actor, author, and educator Eric Booth. Eric is author of the book The Everyday Work of Art (Sourcebooks, 1997) and his articles have appeared in Esquire, Theater in America, Entrepreneur, and other magazines. He is editor of a new publication, The Teaching Artist Journal, and writes a regular column for Chamber Music magazine. He has taught at Stanford and NYU; was the former director of the Teacher Center of the Leonard Bernstein Center; and is a current faculty member of the Kennedy Center, Tanglewood, Juilliard, and Lincoln Center Institute. Read an essay by Eric, “Making Worlds and Making Them Better” at http://www.tresser.com/Booth.htm. We have back this year as conference facilitator John Steinmetz, arts education consultant (and musician), to help us frame our discussions and make the most of this opportunity to share and brainstorm with each other. Mr. Steinmetz is principal bassoonist for Los Angeles Opera, is a Southern California freelancer, and composes music. John serves as education consultant for computer and record companies, and writes and speaks about the state of the arts and about technologies of learning and expression. His article “Resuscitating Art Music,” which has been widely distributed in the concert music field, is on the web at http://www.munb.com/artx2.html. We generally have 20–30 music schools and training programs represented at the conference, from universities and colleges, to training orchestras and conservatories. We’ve had a wide range of participants: faculty, staff, some who are brand new to the career services field, and general university career services staff seeking to enhance their offerings for music students. This makes for rich discussions and great information and idea sharing. So bring along a colleague from your institution to get even more out of the conference. 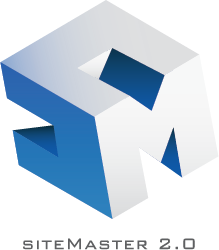 As in the past, we’ve kept the cost to a minimum and the networking, information sharing, and fun at a maximum. We will start promptly at 9 am and go until 5:30, followed by an enjoyable and relaxing dinner. This session offers a practical approach to helping musicians develop and enhance entrepreneurial skills and abilities. How can we help musicians move forward with their entrepreneurial projects? How do we help them develop the interpersonal skills, business concepts, and the organization tools they needed to get their career off the ground? This session de-mystifies the application of entrepreneurship for musicians. Participants will work through the concepts and tools for use in music career workshops, classes, and in one-on-one advising. How can we better educate faculty about the services that we provide? How can we better engage faculty, utilizing their expertise and securing their buy-in? How much buy-in do we need? How can we address and deal with these issues while we strive to provide relevant and diverse career resources to our students? Participants will work in small groups to address a variety of cases to brainstorm strategies for creating and enhancing connections with faculty, keeping in mind faculty attitudes and departmental cultures. A master list of strategies will be generated and made available to all conference participants. Music Career Center Nuts & Bolts: Your Questions Answered! Want the basics? Got a specific question or issue your facing? This is the practical session for people new to music career center work and for those wanting to expand their existing program or services. Participants will work through small group exercises to get feedback on their individual (and institutional) situations. Hint: we’ll be using a fun version of the famous Elevator Speech Exercise. We’ll cover strategies, resources, finding collaborators, cost-saving and time-saving techniques, and how to create and sustain interest in music career services at your institution. Several NETMCDO veterans will facilitate this session. We will start promptly at 9 am and go until 5:00 pm. This day of the conference will center on issues around how musicians reach their potential for employment. Facilitator John Steinmetz will help us explore this topic as it pertains to the future planning of our own programs, our institutions, our own careers, our field as a whole, and our very own NETMCDO organization. John Steinmetz has planned an interactive, illuminating and informative day using a format known as Open Space Technology*. We will discuss the many aspects of music career services issues in both small breakout groups and large group discussions. This day is meant to address the issues that matter most to you -- so bring your ideas, questions and concerns to share and explore. *This isn’t as high-tech or scary as it sounds. We have used this format in the past and this has led many participants to comment that we presented the best conference they have ever been to. The details of how this system works will be explained at the conference. We are meeting on these dates (January 10–11) to make it convenient for people to also attend the Chamber Music America Conference, held in NYC, January 12–15. This year, CMA’s pre-conference day (Thurs. January 12) will be held at Juilliard and will focus on preparing musicians for better outreach presentations. Eric Booth will be the facilitator. Check out the CMA website at http://www.chamber-music.org. It’s inexpensive and a terrific resource from which to gain current information on performance, recording, funding and presenting issues in classical, jazz, and other musics. The cost of the CMA conference is very reasonable with discounted hotel available. You can register online for CMA at http://www.chamber-music.org/conference/confoverview.html. Or, call them at (212) 242-2022. $150 per organization or school for the first participant; each additional participant for that institution is $50. This fee includes speakers’ fees; daily drinks and snacks; Tuesday dinner; labor; and miscellaneous costs. The fee also includes the costs for maintaining our NETMCDO Web site. Please note that on Tuesday and Wednesday, participants will buy their own lunches at the cafeteria (or a nearby deli or restaurant) for a casual networking opportunity. Information on transportation and inexpensive NYC hotel room rates is available here. Note: Registration for the conference is limited! Deadline is December 1, 2005, for check & registration form (doc), and e-mailed survey (doc). No registrations accepted AFTER December 16, 2005. To register, please fill out the registration form (pdf) and return it with your registration fee to John Blanchard at Manhattan School of Music. Late registration is $50 more!